The ValueCut series gives you the finest cutting quality with superior tracking. There are many advantages to utilizing a separate printer and cutter workflow, including the ability to print and cut at the same time so one operation does not stop the other. Additionally, there is no shrinking of stickers when you let them out gas and dry properly prior to cutting. The Mutoh system allows you to do this and still maintain a productive workflow. 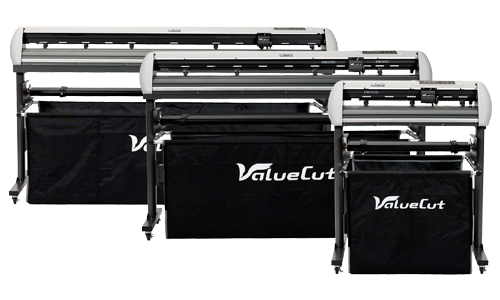 With a Mutoh ValueCut you have all the features and control you need, including our unique job recognition feature that allows you to reliably contour cut and our multi-segment cutting feature to cut long jobs with superior accuracy.